Is it possible to be a one-hit wonder three times? 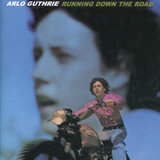 The question is provoked by the recording career of Arlo Guthrie, which is best remembered for three songs in three different contexts. 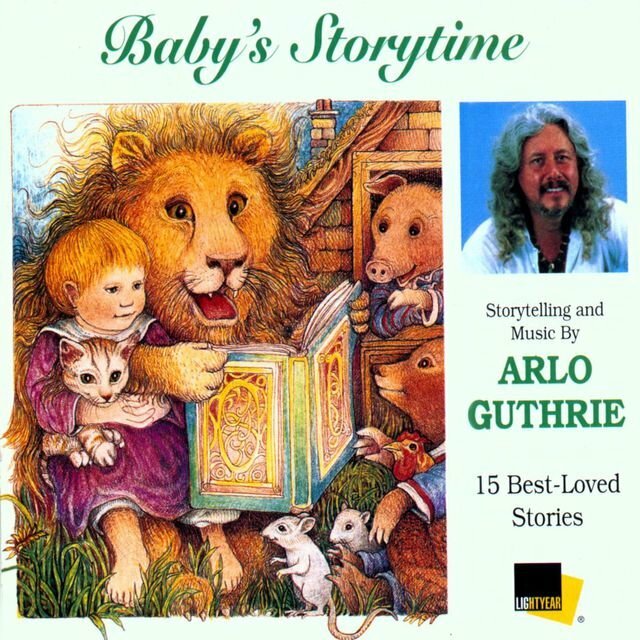 There is "The City of New Orleans," Guthrie's only Top 40 hit, which earns him an entry in Wayne Jancik's The Billboard Book of One-Hit Wonders. 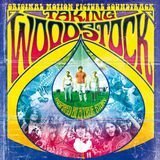 There is also "Coming into Los Angeles," which Guthrie sang at the legendary Woodstock music festival, and which featured prominently in both the Woodstock movie and multi-platinum soundtrack album. And there is "Alice's Restaurant Massacree," the comic-monologue-in-song that gave him his initial fame and took up the first side of his debut LP, the million-selling Alice's Restaurant. 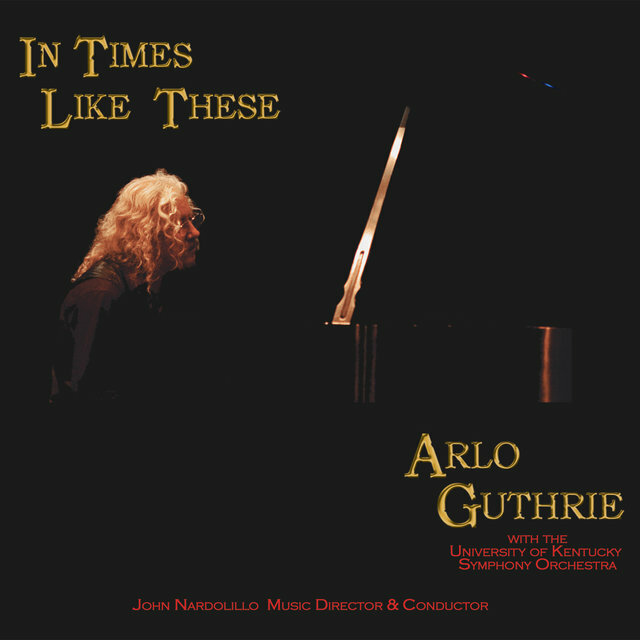 Whether these successful tracks make him a one-, two-, or three-hit wonder, they were arguably both flukes in a performing career that was still going strong a full 40 years after Guthrie first gained national recognition and facilitators of that career. With their help, he spent 15 years signed to a major record label, charting 11 LPs, after which he was able to set up his own label and go on issuing albums. More significant, he maintained a steady following as a live performer, touring worldwide year after year to play before audiences delighted by his humorous persona and his musical mixture of folk, rock, country, blues, and gospel styles in songs almost equally divided between his own originals and well-chosen cover tunes. 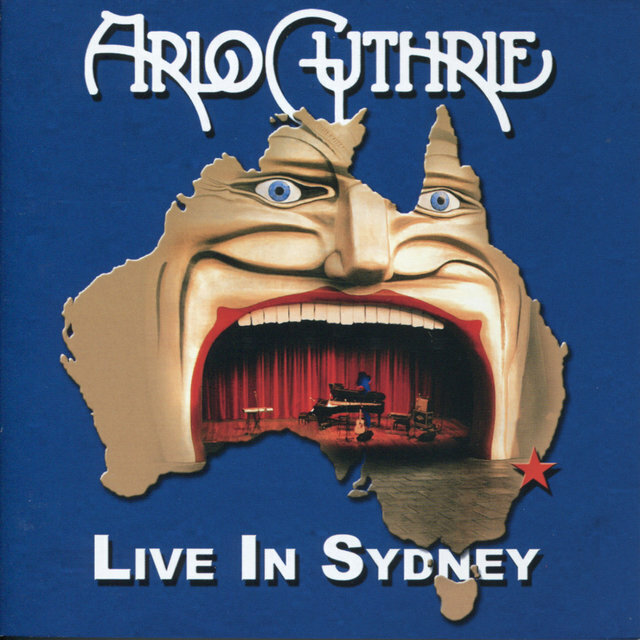 Arlo Davy Guthrie was born July 10, 1947, in the Coney Island section of the borough of Brooklyn in New York City and grew up there. He was the fifth child of Woody Guthrie, the famous folksinger and songwriter, but the second child born to his father's second wife, Marjorie Greenblatt Mazia Guthrie, a former dancer with the Martha Graham dance troupe who had become a dance teacher; his older sister, Cathy Ann Guthrie, had died in a fire at the age of four five months earlier. After having two more children, Joady and Nora, Guthrie's parents separated when he was four and later divorced; his mother remarried. His father remained an important presence in his life, however, giving him his first guitar for his sixth birthday in 1953. By then, Woody Guthrie had been diagnosed with Huntington's disease, an incurable, hereditary illness; he was hospitalized permanently in 1954, and Guthrie's mother supervised his care. Guthrie grew up surrounded by his father's friends, including such folksingers as Pete Seeger and Cisco Houston. (Houston brought him up on-stage at the Greenwich Village nightclub Gerde's Folk City for an impromptu performance when he was only ten.) Guthrie later said that he had been unaware of his father's fame until he switched from public school to a progressive private school in the sixth grade and found that students there were singing Woody Guthrie songs like "This Land Is Your Land." Only then did he begin learning his father's music. Nevertheless, he did not expect to become a performer himself, feeling that his introspective personality was not suited to such a career. When he graduated from high school at the Stockbridge School in Massachusetts in 1965, he enrolled at Rocky Mountain College in Billings, MT, to study forestry with the intention of becoming a forest ranger. He dropped out after only six weeks, however. Returning to Massachusetts, he stayed at the home of Alice and Ray Brock, a deconsecrated church. The Brocks were former faculty members of the Stockbridge School who had opened a restaurant called the Back Room. Celebrating Thanksgiving with them, Guthrie and his friend Rick Robbins undertook what he later called the "friendly gesture" of attempting to dispose of a large amount of accumulated garbage for them. Finding the city dump closed, they threw it down a hillside. As a result, they were arrested for littering. Convicted of the offense, they paid fines of $25 each and retrieved the garbage. This proved fortuitous shortly afterward, when Guthrie was summoned for the military draft and judged unfit for service because of his criminal record. Guthrie took up performing, turning professional in February 1966 with a debut at Club 47 in Cambridge, MA. His repertoire included a 16-bar ditty he had written that constituted a musical commercial for the Brocks' eatery, with a chorus that went, "You can get anything you want/At Alice's restaurant." The song, however, was the least of the performance, as Guthrie told a fanciful and comic version of his adventures in littering and at the draft board, spinning it out to what amounted to a 20-minute comedy routine with a tune wrapped around it. He performed what he called "Alice's Restaurant Massacree" (idiosyncratically pronouncing the last word "mas'e-kree" instead of "mas'e-ker," hence the extra "e") at Carnegie Hall as part of a folk song festival sponsored by New York radio station WNYC, and another local station, WBAI, began airing a tape of the song in the spring of 1967, to popular response. Guthrie attended the Newport Folk Festival and found himself promoted to the closing-night concert on the main stage, performing "Alice's Restaurant Massacree" to 20,000 folk fans on July 16, 1967. That provoked interest from Warner Bros. Records, which signed him and issued Alice's Restaurant on its Reprise subsidiary in September 1967, only weeks before Woody Guthrie's death on October 3. The album entered the Billboard magazine Top LP's chart on November 18 and rose steadily, peaking at number 29 on March 2, 1968, and staying on the chart 65 weeks. (Although the title song dominated attention, the LP also contained a second side of original Guthrie compositions including "Highway in the Wind," which was covered by Hearts and Flowers and Noel Harrison soon after, and by Kate Wolf later.) The success of the album and of "Alice's Restaurant Massacree" went well beyond sales, however. First, it established Guthrie not only as a star, but also as a figure separate from his father, always a tricky thing to accomplish for a child following in the footsteps of a famous parent. Despite Woody Guthrie's renown as a progenitor of the 1960s folk revival, he himself did not perform after the early '50s, and his son presented a distinct, if related persona to a young audience that only vaguely recalled his father, if at all. 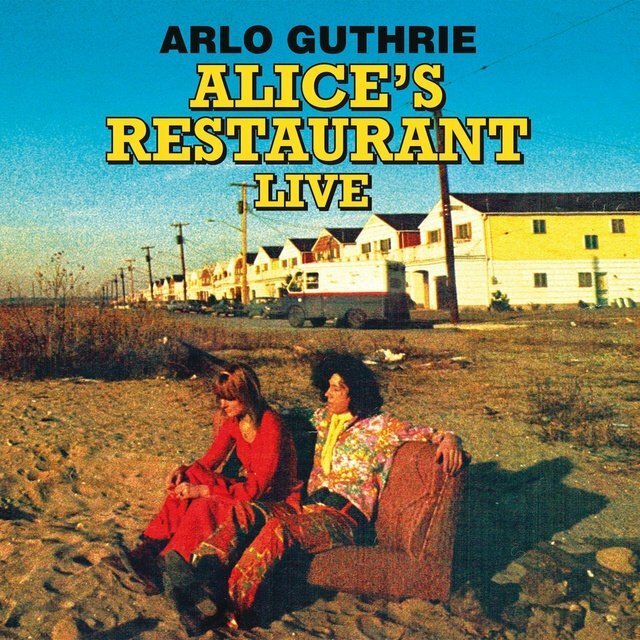 Second, as a highly entertaining live recording, "Alice's Restaurant Massacree" immediately transformed Guthrie into a concert attraction; he came off as a wry, yet gentle and charming hippie able to puncture the pretensions of "the establishment" with comic hyperbole. Guthrie appeared at a memorial concert for his father held on January 20, 1968, at Carnegie Hall that was later released on disc as A Tribute to Woody Guthrie, Pt. 1, featuring his performances of "Do Re Mi" and "Oklahoma Hills," and reached the charts. (A second concert at the Hollywood Bowl on August 12, 1970, produced another LP, A Tribute to Woody Guthrie, Pt. 2, on which Guthrie performed "Jesus Christ" and participated in a version of "This Land Is Your Land"; it also charted.) 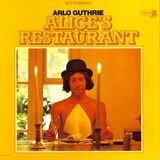 Alice's Restaurant was still selling when Reprise released Guthrie's second LP, Arlo, in October 1968. It was a live album recorded at the Bitter End nightclub in Greenwich Village, and it featured more of Guthrie's zany humor, along with original songs. Overshadowed by Alice's Restaurant, it peaked at number 100 in Billboard, although it got to number 40 in rival Cash Box magazine. Nevertheless, Running Down the Road did not attract as much attention as it deserved. Produced by Lenny Waronker and Van Dyke Parks and featuring such prominent session musicians as James Burton, Ry Cooder, and Clarence White, it was Guthrie's first album without any comic monologues, and it combined some excellent new originals, including the psychedelic rocker "Coming into Los Angeles" (a tale of dope smuggling) and the tender ballad "Oh, in the Morning" (later covered by McKendree Spring), with covers of old folk and blues standards like Woody Guthrie's "Oklahoma Hills" and Mississippi John Hurt's "My Creole Belle." (Whether due to his own inclinations or the demanding one-album-a-year schedule of his record contract, Guthrie from this point on would cut as many covers as original songs for his LPs.) Prior to the release of Running Down the Road, Guthrie had appeared at the Woodstock festival on August 15, 1969, where, as part of his set, he performed the then-unreleased "Coming into Los Angeles." When that performance turned up in the Woodstock movie and soundtrack album in May 1970, the tune became one of his signature songs. In October 1969, Guthrie, who had bought a 250-acre farm in Stockbridge, MA, married Alice "Jackie" Hyde, with whom he would have four children: Abraham (Abe), Annie, Sarah Lee, and Cathy. Abe Guthrie became a musician and worked with his father. Sarah Lee Guthrie also went into music and became a recording artist. 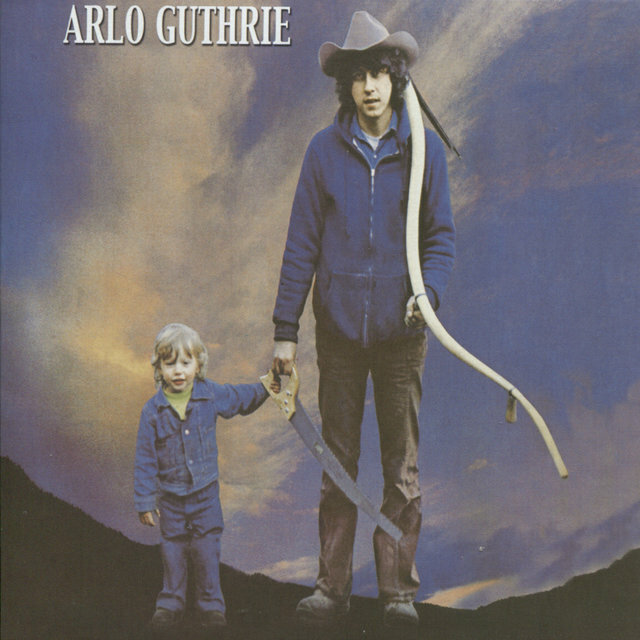 Guthrie released his fourth album, Washington County, in October 1970. Although it included covers such as Bob Dylan's relatively obscure "Percy's Song," it was dominated by Guthrie originals, notably "Gabriel's Mother's Hiway Ballad #16 Blues" (later covered by Jackie DeShannon) and the single "Valley to Pray," which charted in Cash Box. 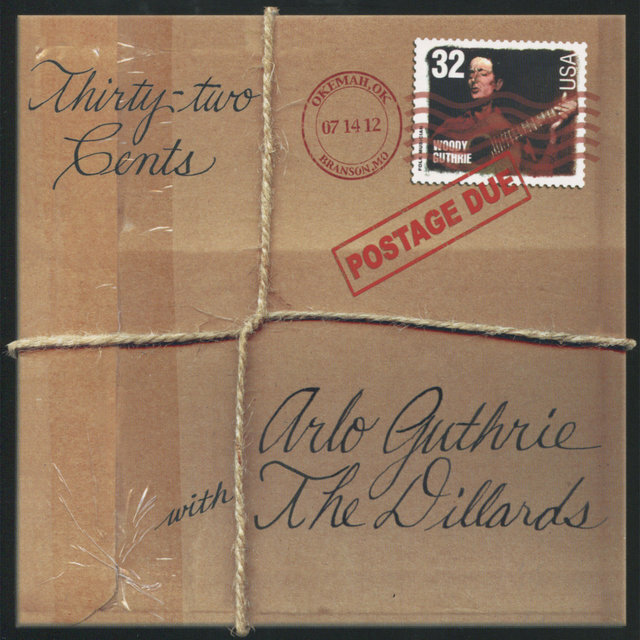 The album hit number 33 in Billboard, number 29 in Cash Box. 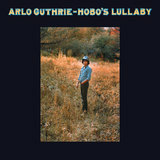 An unusually long time (for the early '70s, that is) passed before the release of Guthrie's fifth album, Hobo's Lullaby, 19 months later in May 1972, and when it appeared it was largely devoid of original compositions. One of the covers was Steve Goodman's "The City of New Orleans," a song about a train of that name with the catchy chorus line "Good morning, America, how are you?" Released as a single, it peaked at number 18 in the Billboard Hot 100, number four in the magazine's Easy Listening chart, and Hobo's Lullaby went to number 55 (number 35 in Cash Box), remaining in the chart for 38 weeks. 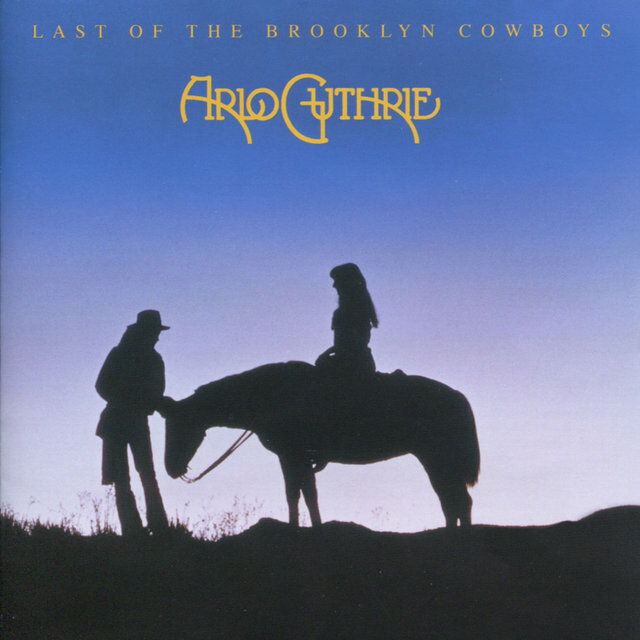 Last of the Brooklyn Cowboys, Guthrie's sixth album, was released in April 1973. It was another effort largely given over to cover material and performed with the cream of Los Angeles session musicians. The single "Gypsy Davy" (another Woody Guthrie song) reached the Easy Listening chart, and the LP peaked at number 87 in Billboard, number 63 in Cash Box. Despite his dropping record sales, Guthrie remained a potent concert attraction. He teamed with Pete Seeger for a series of concerts that resulted in a double-LP live album, Together in Concert, released in May 1975. That fall, he hired a local Massachusetts band, Shenandoah, as his regular backup group for shows. For his next album, Amigo, however, he stuck with L.A. session musicians. 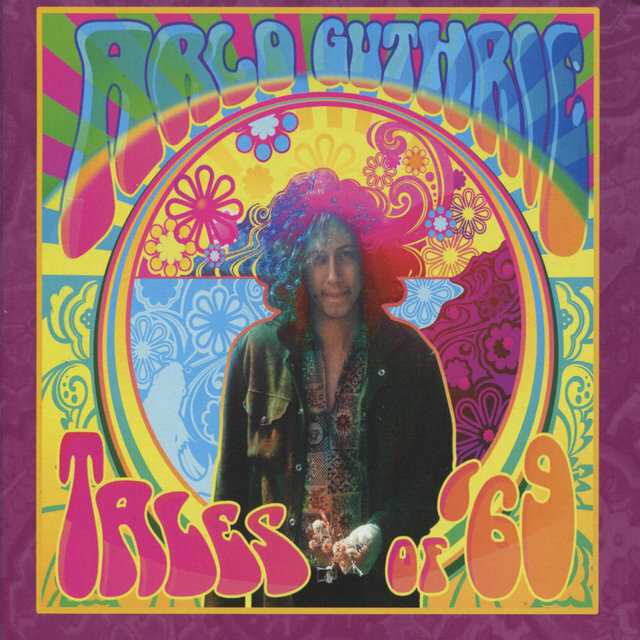 The disc contained more originals than usual, among them "Victor Jara," an account of the death of the Chilean singer/songwriter who was slaughtered in his country's CIA-backed military coup in 1973 that was later covered by Christy Moore, and "Patriot's Dream," which later served as a title song for an album by Jennifer Warnes. 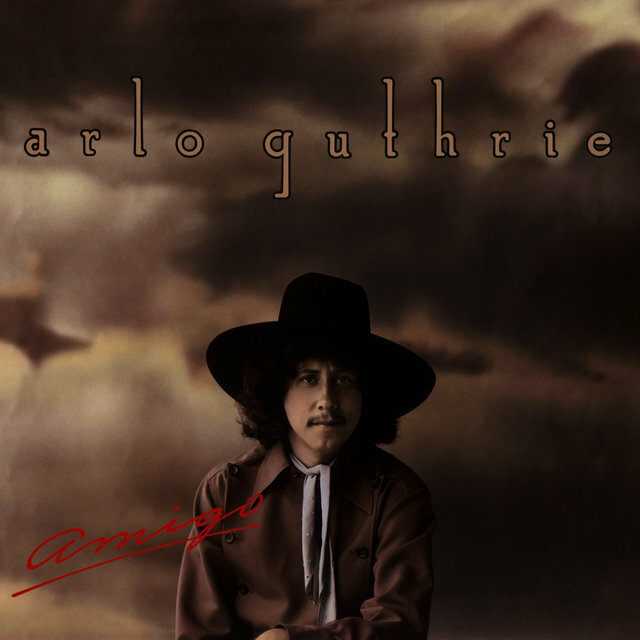 When Amigo was released in September 1976, it garnered strong reviews from rock critics because it rocked more than Guthrie's albums usually did, notably on a cover of the relatively unknown Rolling Stones song "Connection." But the positive notices did not help sales. 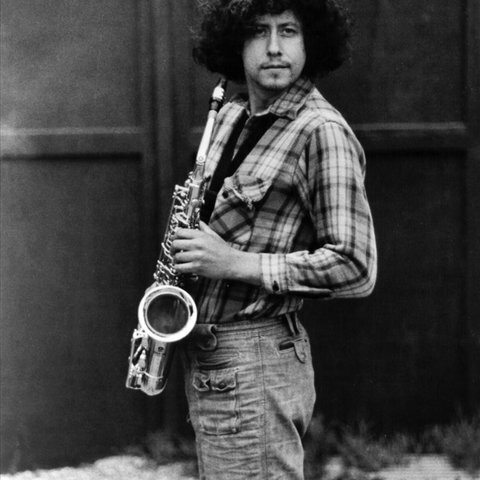 That fall, Guthrie joined Bob Dylan's Rolling Thunder Revue for some shows, leading to an appearance in Dylan's film Renaldo and Clara, shot during the tour. 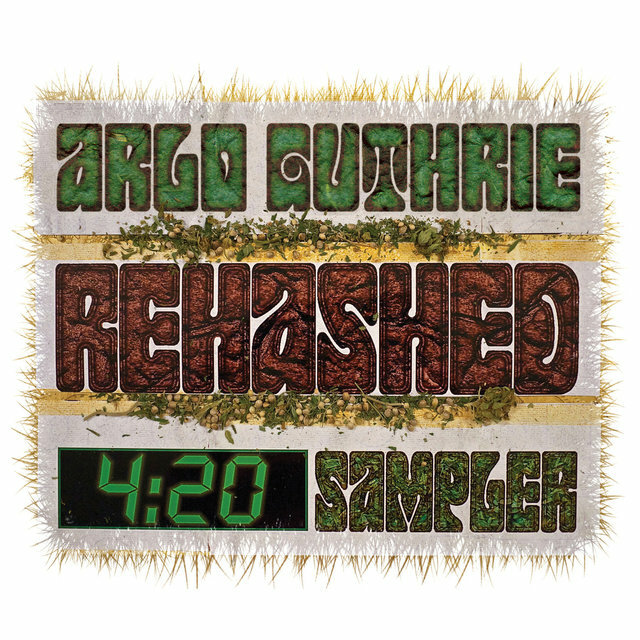 Another of the originals on Amigo was a song called "Darkest Hour," a poetic and personal statement by Guthrie, who was questioning his spiritual ideas at this time. In 1977, he formally converted to Roman Catholicism. (He later explored Hinduism and Buddhism, adopting a more ecumenical view of religion.) 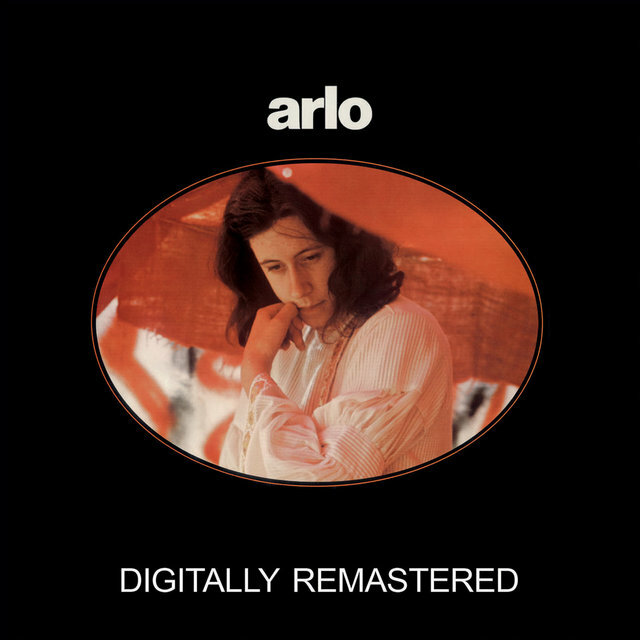 His next album, One Night, released in October 1978, was a live recording with only one original song, a return to comic storytelling, called "The Story of Reuben Clamzo and His Strange Daughter in the Key of A." 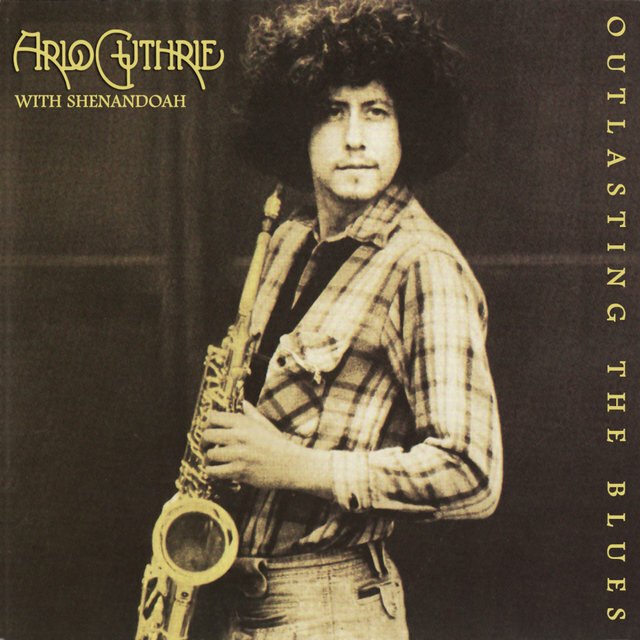 Shenandoah backed Guthrie on the disc, and he also took the band into the studio for his next album, Outlasting the Blues, which followed in June 1979. This LP consisted mostly of originals, some of which reflected his religious beliefs. Again, it attracted strong critical reaction, although it did not sell well enough to reach the charts. 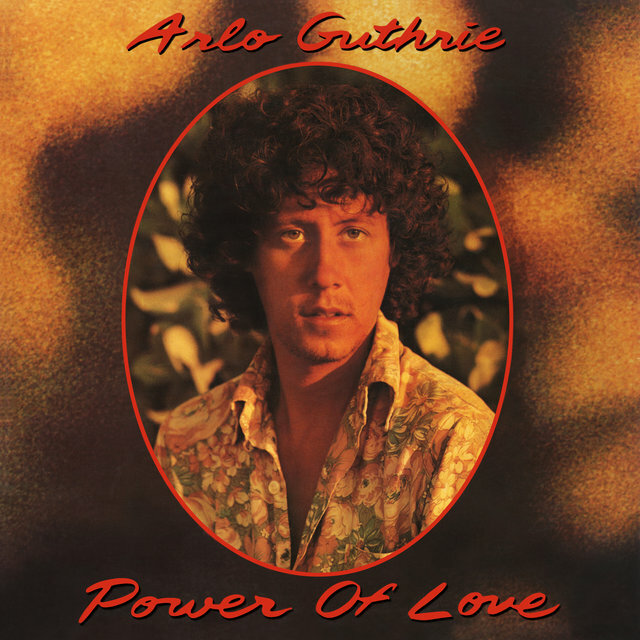 Guthrie's last chart album was Power of Love, released in June 1981. It was another disc consisting largely of cover material. After its release, Guthrie went on another tour with Seeger, resulting in a second double live album, Precious Friend, released in February 1982. Guthrie prepared a new album for submission to Warner Bros., but the label rejected the disc, asking for changes the singer declined to make. Warner was rethinking its roster at the time and cut a number of veteran acts, including Bonnie Raitt, Van Morrison, and Guthrie. Guthrie simply continued to tour as he always had, deriving most of his income from his concert work. In 1984, he teamed again with Seeger as well as the duo of Holly Near and Ronnie Gilbert (like Seeger a former member of the Weavers) in a quartet dubbed HARP after the initials of their first names; concert performances led to a HARP LP issued on Near's Redwoods Records label in 1985. Also in 1984, Guthrie narrated a documentary film about his father, Woody Guthrie: Hard Travelin', and appeared on the soundtrack album. 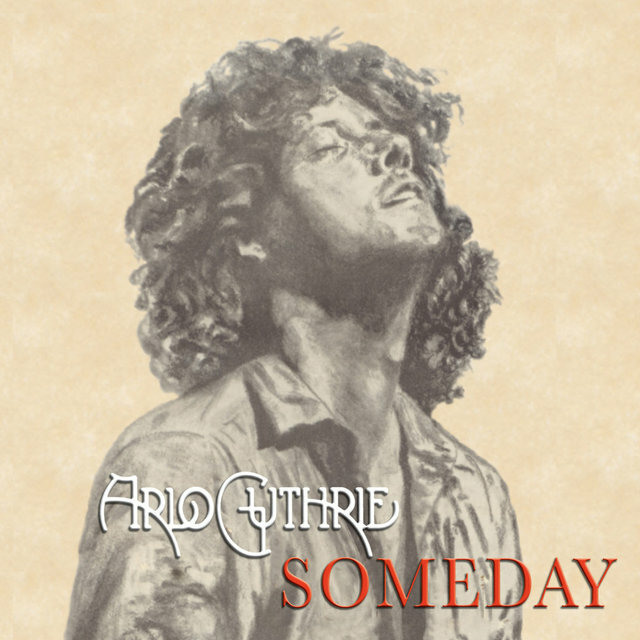 In 1986, Guthrie launched his own label, Rising Son Records, and put out the album he'd submitted to Warner three years earlier, Someday. He also set about licensing or acquiring his out-of-print Warner/Reprise albums for reissue. Notwithstanding the major label's objections, Someday was a strong collection, led by the Guthrie original "All Over the World" (which had debuted on HARP) and the amusing post-hippie lament "Oh Mom," with lyrics by Terry Hall and the tag line, "Mom, your universal love is such a drag." Guthrie had another chance to sing music of his father's era on Folkways: A Vision Shared, an all-star album of Woody Guthrie and Leadbelly material recorded as a benefit for the new Smithsonian Folkways label that was released in August 1988 and peaked at number 70 in the charts. In 1990, he released his first children's album, Baby's Storytime, along with a home video, on Lightyear. 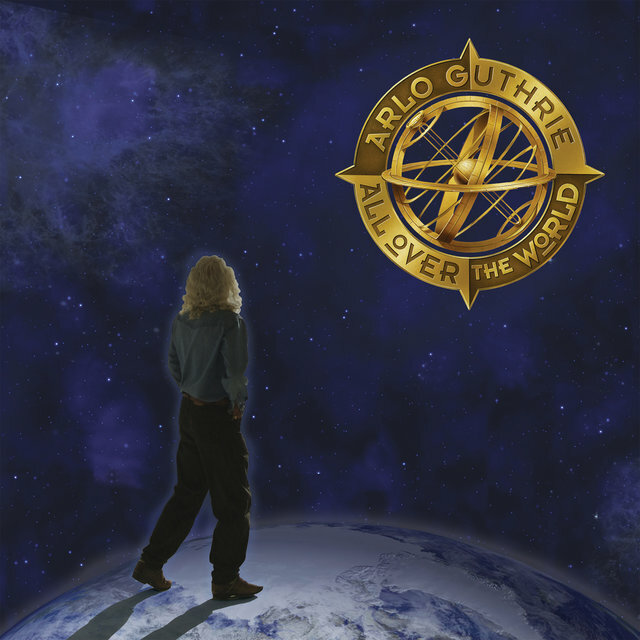 All Over the World, released by Rising Son in 1991, found Guthrie re-recording some of his old songs. In January 1992, Guthrie bought the deconsecrated church in which the Brocks had lived and converted it into the headquarters of Rising Son Records and a nonprofit community service center. 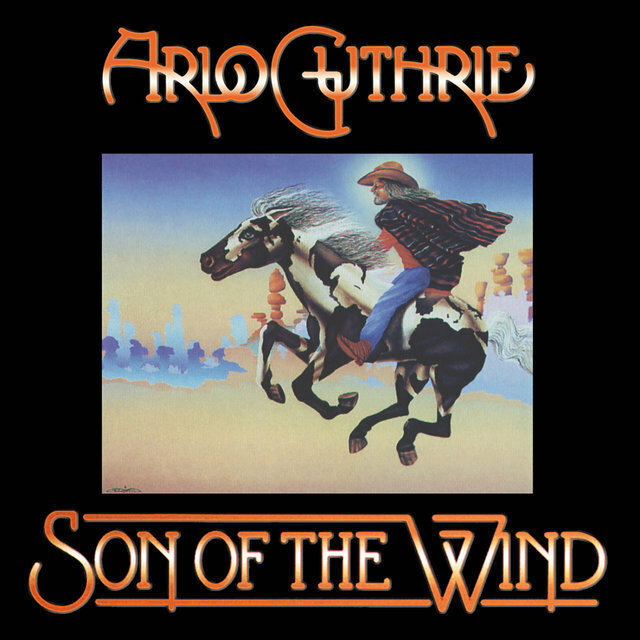 Son of the Wind, which appeared in 1992, was a collection of Western and cowboy music. 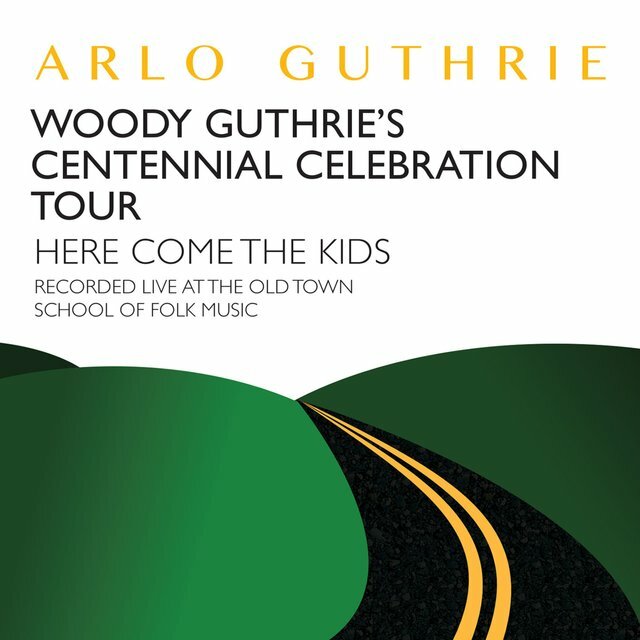 On August 25 of that year, Guthrie briefly returned to Warner Bros. for the release of Woody's 20 Grow Big Songs, a collection of Woody Guthrie's children's songs on which he, his brother and sister, and their children overdubbed Woody Guthrie's original recordings or recorded new versions of the tunes, as an accompaniment to a songbook of the same name. 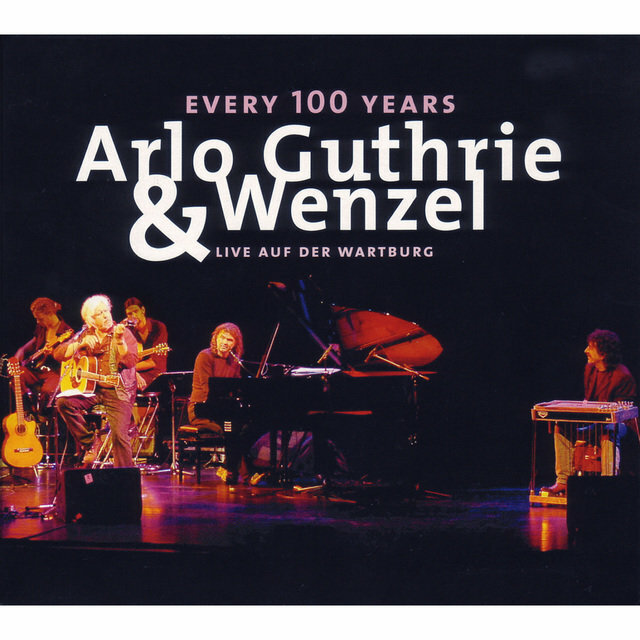 The project was billed to Woody & Arlo Guthrie & the Guthrie Family. It was nominated for a 1992 Grammy Award for Best Album for Children. The same year, Guthrie had a small part in the film Roadside Prophets. Rising Son issued a third Guthrie/Seeger double live album, More Together Again: In Concert, in March 1994. At the same time, Guthrie returned to acting, taking a role in the television series Byrds of Paradise. (He later appeared on episodes of the shows Relativity [December 1996] and Renegade [January 1997].) In October 1995, he collaborated with Alice Brock, who illustrated their children's book, Mooses Come Walking. 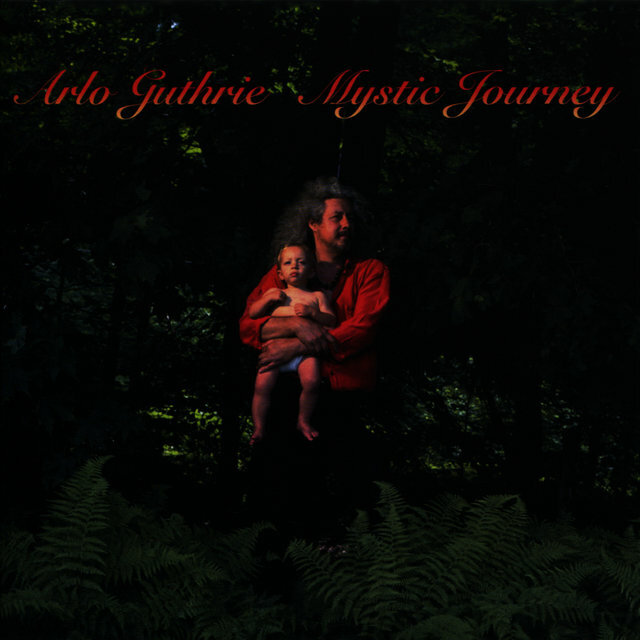 In January 1996, Guthrie released Mystic Journey, his first studio album of new material since Someday in 1986. It was co-produced by his son Abe Guthrie. 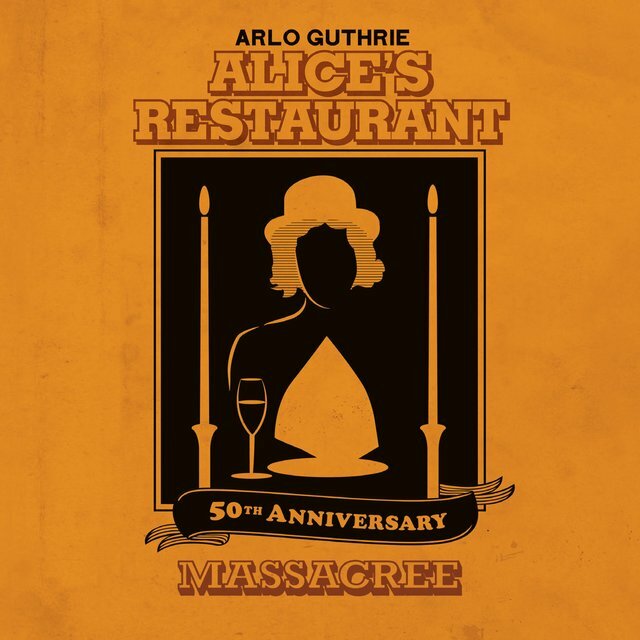 He marked the 30th anniversary of Alice's Restaurant, the one album he had not been able to buy back from Warner, by re-recording the entire disc and releasing the new version on June 17, 1997, as Alice's Restaurant: The Massacree Revisited. The same year, Rounder Records released This Land Is Your Land, another album on which Guthrie overdubbed his voice onto recordings by his father. The album earned him another Grammy nomination for Best Musical Album for Children.